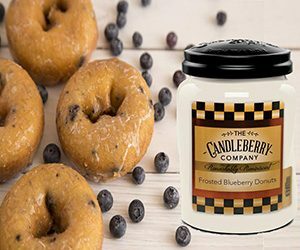 From the Candleberry® Candle brand, you will find that all of our scented candles are some of the most fragrant and strongest smelling candles in the world. All of our candles have been tested with the most scrutinizing senses in mind, offering the best of long lasting, high home fragrance. If the candle isn’t very aromatic or doesn’t prove to be highly scented, we don’t do it. Candleberry’s® super-power candles will scent from 1,000-4,000 square feet of a home.